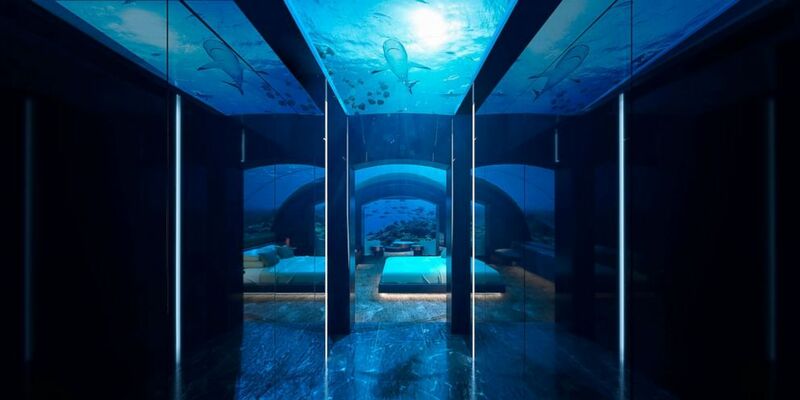 The two-level suite is named The Muraka, which means "coral" in Dhivehi, the local language of the Maldives. 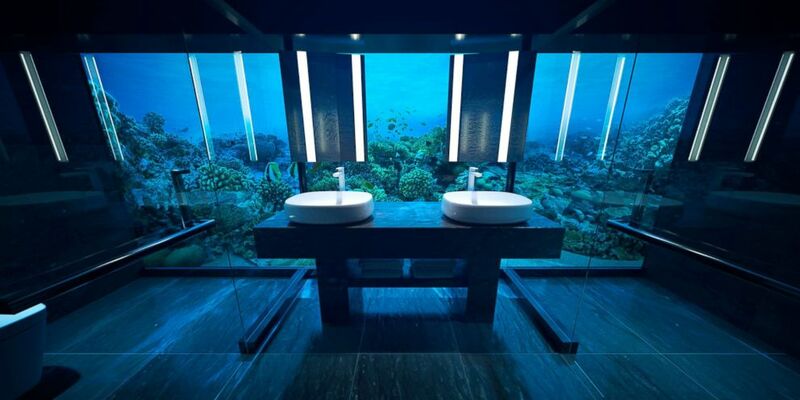 The design boasts 180-degree views of the Indian Ocean's marine life. 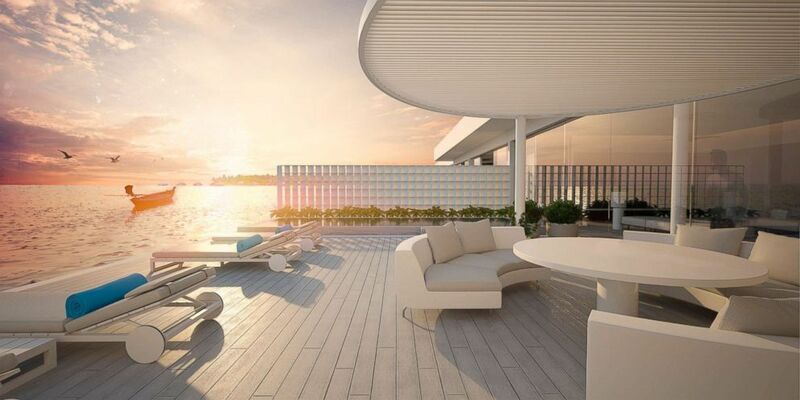 Muraka's upper level features bedrooms, a living room, kitchen, bar and dining room, and a deck. 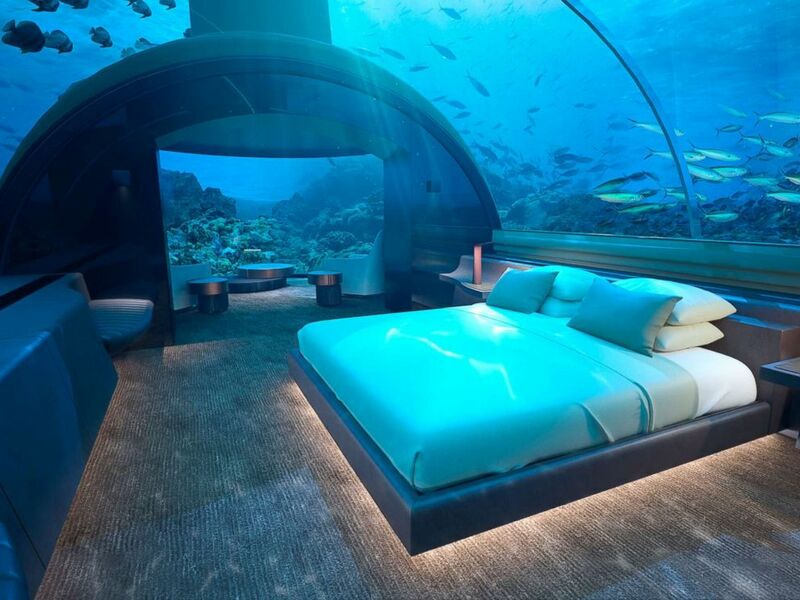 "The Muraka marks our second venture in underwater architecture and technology, next to Ithaa Undersea Restaurant, which is celebrating its 13th anniversary this month," said Ahmed Saleem, a director at Crown Company and chief architect and designer of the undersea residence. Muraka's upper level features bedrooms, a living room, a kitchen, a bar and a dining room, a powder room, a gym and a deck. The upper level also contains an ocean-facing bathtub, ideal for soaking in views of the horizon.